Rankings are a valuable resource for primary and specialty physicians deciding where to refer patients. Targeted email is the best and most effective channel to communicate your rankings to potential referrers. While there’s no wrong way to share good news, some methods are more effective for turning good news into referrals. You risk missing key referrers beyond your network when you announce high rankings to your entire physician list. At the same time, triaging lower rankings is a missed opportunity to communicate your hospital’s other strengths and services. 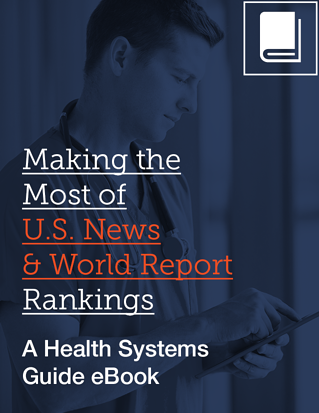 U.S. News hospital rankings don't always capture the unique strengths that differentiate your hospital from others. Numbers tell only part of a story. Fill in the gaps by reframing some of the bad news and emphasizing the good. Share good news strategically with a large, but targeted, audience of referrers. Email provides the precision targeting you need for reputation management and referral growth. Start sending powerful email campaigns to the right people by filling out the form.